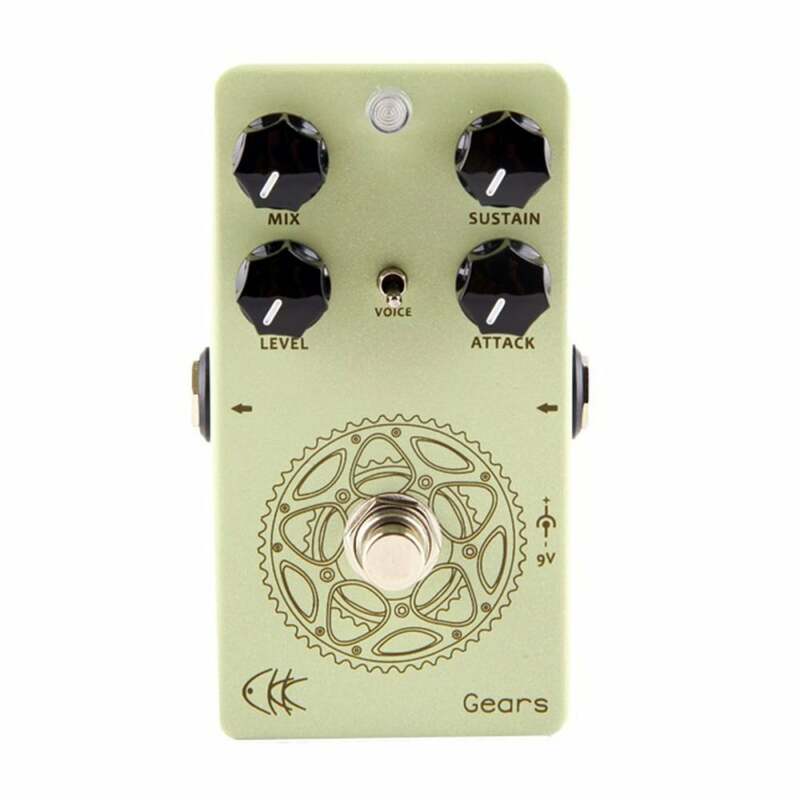 In May, we welcomed CKK pedals to the shelves of our pedal room – so we thought we would have a bit of a run through of some of the models we have in store. 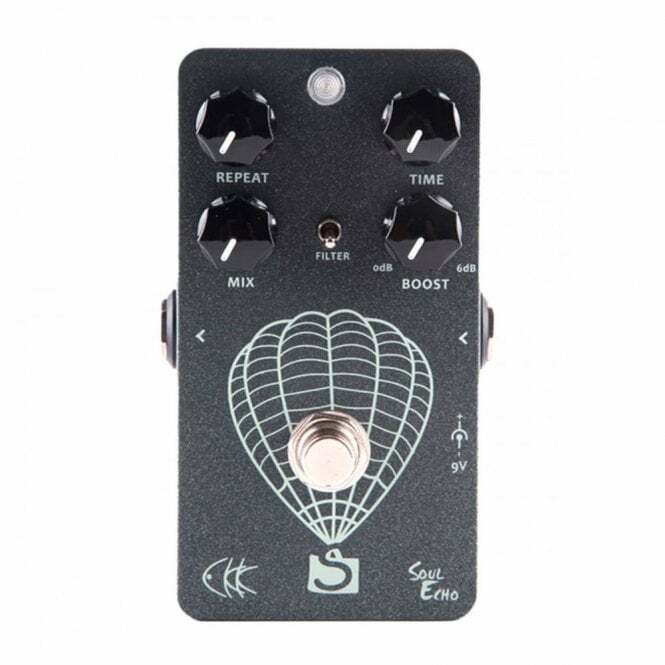 Click on the image of each pedal if you feel inspired enough to add it to your collection! 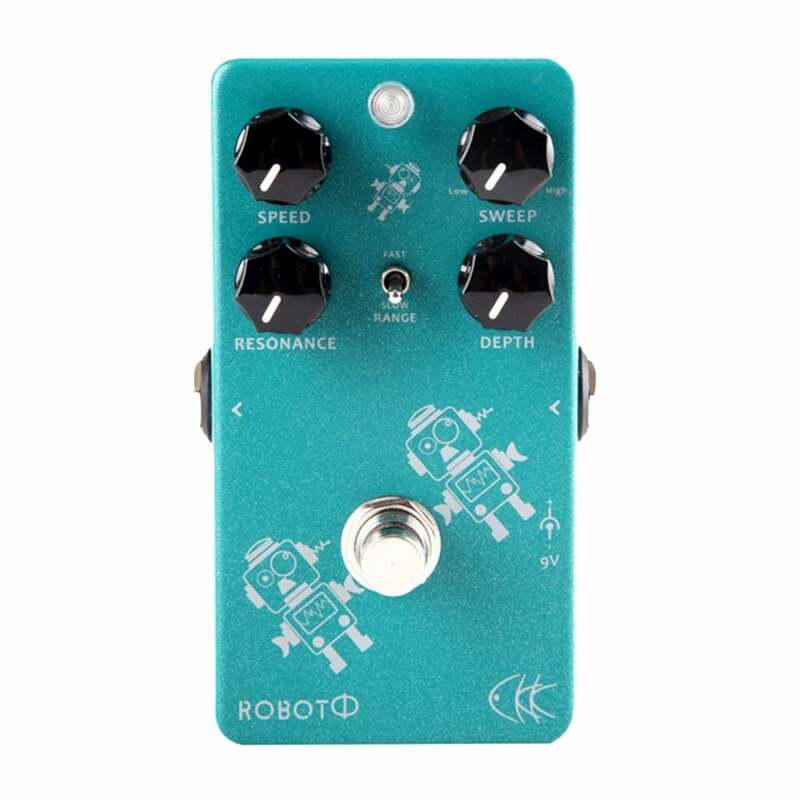 CKK make fantastic pedals that may be the ideal JHS alternatives for those who can’t quite stretch to those prices. 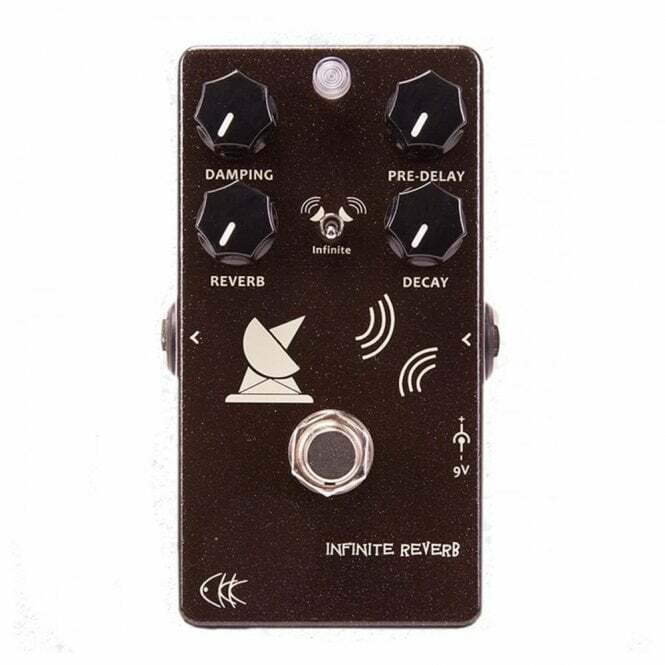 Soundscapers, Post Rockers, and Prog Metallers rejoice – the Infinite reverb is a luscious ambient pedal, with the fantastic addition of an infinite switch for those long tails, drones and plenty of atmosphere. Disclaimer – we cannot be responsible for the loss of time, or spacial awareness you may experience in your noodling forays… You have been warned! Gears is a fantastic compressor which can be used in many circumstances. With a Mix knob controlling the balance of normal and compressed signal, and a voice switch that gives the player the option of an open/closed voice, or a frequency-dependent voice, this is a lot of usability and tone at a great price point. An excellent compressor for funk and country of course, but also for solo play and heavy styles, retaining the dynamics of a non-compressed signal, but with the benefits of added sustain. Get that mix knob to use! 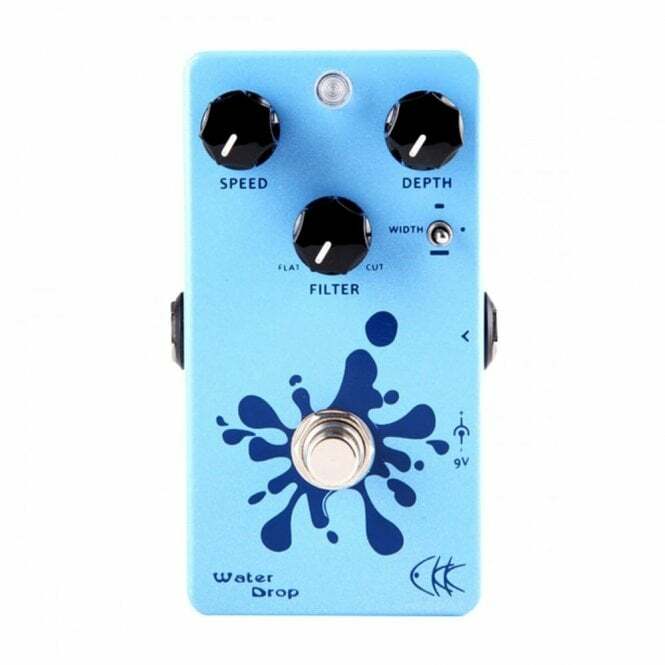 The Water Drop Chorus Pedal utilises BBD chips for an all-analog circuit, giving you that erratic unpredictability in your modulation when turned all the way up. 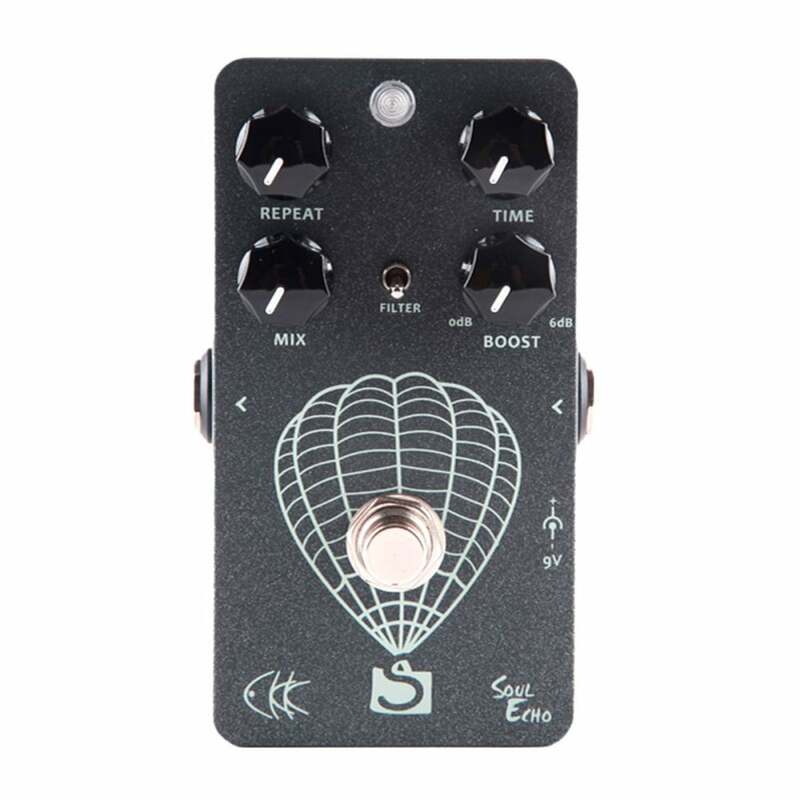 This pedal is no one-trick pony, however; the width mini-switch controls the pitch voicing – set it to narrow for precise, vivid chorus effects, or set it to wide for that wet, washy, warbly, wild, insert adjective beginning with W sound. The depth knob goes deep, and when combined with the Speed knob, you can replicate vibrato type effects too. Much fun ensues! Van Halen and the rest; The Electronic Robot Phaser adds cool features to a standard phaser, such as a resonance knob, which controls the depth of the phase filter, allowing for some seriously deep frequency modulation – This pedal works equally great on driven tones as it does clean, and even handles bass like a charm, for some seriously funky phasing options across the board. This is one phaser you can sink your teeth into and enjoy every sound it generates, no matter where the dials are pointing. Based on the tremolo unit in the Fender Deluxe Twin amplifier, the Frogman comes with two wave shapes – triangular and square, respectively – for a wide palette of tones from the classic tremolo swell, through to steep, choppier sounds in square wave mode. Again, the Depth and Speed knobs offer a wide range of values, for some dramatic tremolo effects. Another cool feature is the volume compensate knob, in which the tremolo signal and the bypass signals can be balanced to compensate each other on a range of 10 dB. Nifty! 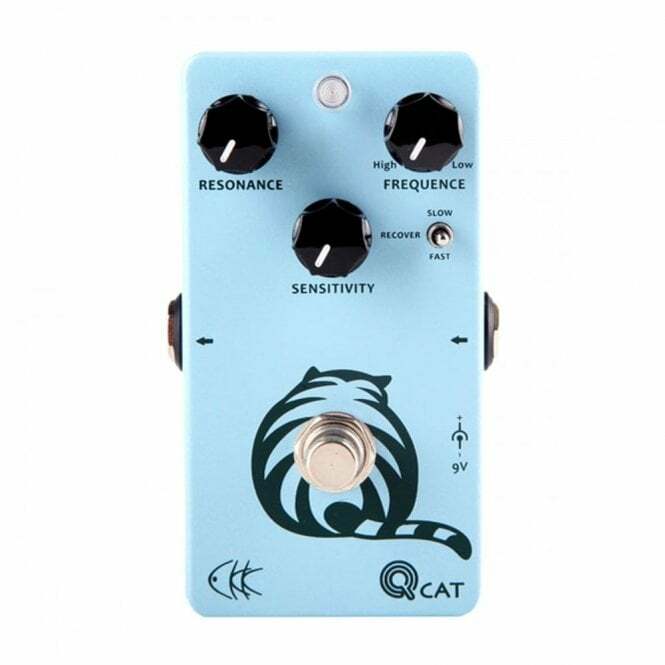 CKK’s take on the classic dynamic wah effect can handle everything from subtle filtering to all-out quackiness. The resonance knob can really push those filter peaks for out-there feedback and squealy effects, whilst the frequence knob dictates whether those quacks are on the lower end of the frequency spectrum or in the highs. The Recover switch dictates how quickly the filter snaps back to a closed position, and sensitivity controls how responsive the filter is to your playing. Simple enough! 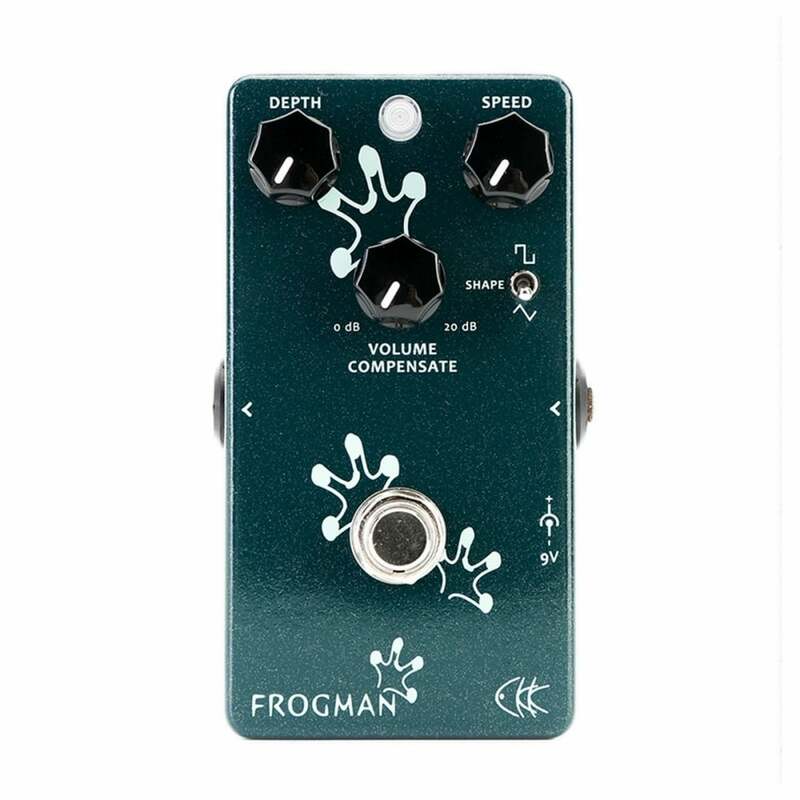 exploring this pedal will cover those funk bases you would expect, but also allows you to explore some great Guthrie Govan style solo sounds with almost comic effect… an absolutely quacking pedal indeed. CKK’s version of a classic tape delay takes the warm, rough-around-the-edges delay sounds of yesteryear and emulates them in a neat, sizeable package. Aside from the obvious features of Repeat, Time and Mix, we also have a filter switch, which re-creates the warbling flutter and wow artifacts from real tape delay units with fantastic authenticity. Furthermore, the boost pot offers a 6dB gain increase for those moments when your inner Vai wants to say hi.